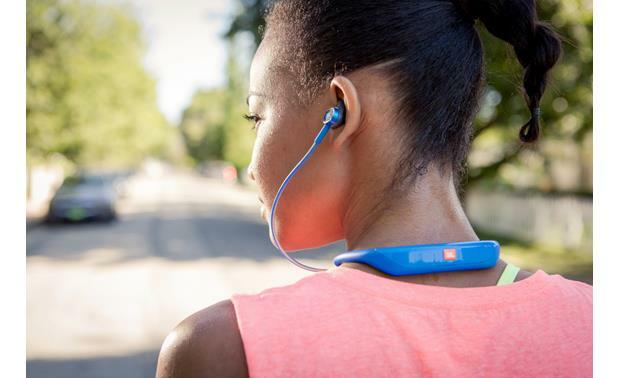 The JBL Reflect Response sports headphones let you control music playback and calls with just a touch. 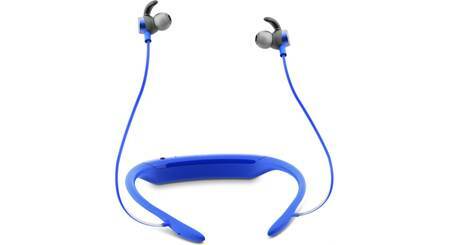 JBL's Reflect Response headphones take Bluetooth wireless freedom one step further with touch controls on each earbud, so you can focus on your workout instead of fumbling for buttons. Control music playback and take calls simply by touching the outside of the earbud. 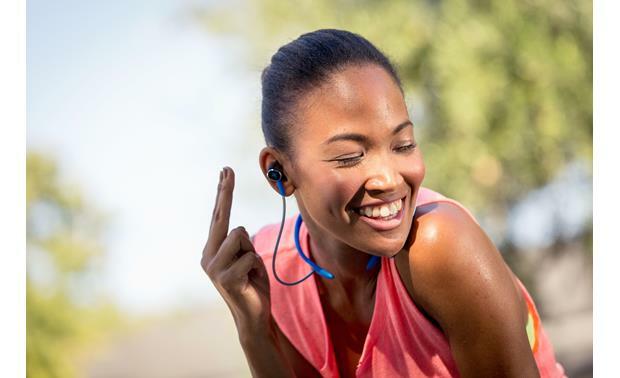 Use the right earbud controls for voice commands, to play or pause music, answer or end calls and skip forward. The left side controls let you skip backward and lock or unlock your device. With up to ten hours of legendary JBL sound on a single charge, these sweat-proof headphones can handle the most intense workouts. 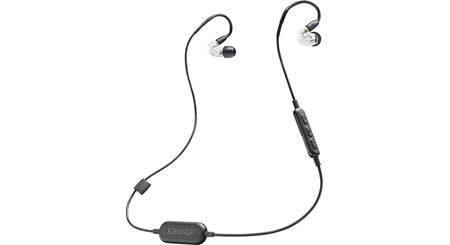 Comfortable ergonomic ear tips and a lightweight neckband keep them securely in place, while stylish and sturdy reflective cables add nighttime visibility. 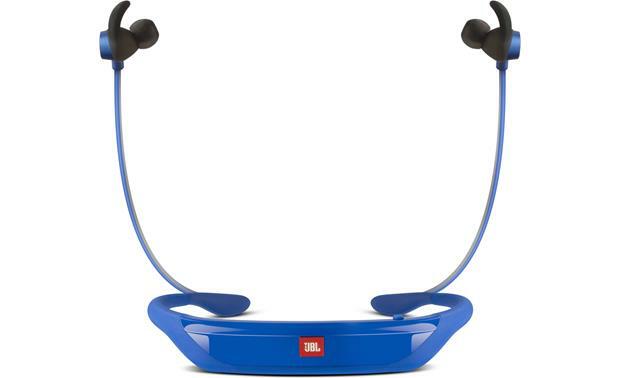 Earcup Width x Height 0.687" x 0.521"
Overview: The JBL Reflect Response wireless touch control sport headphones are designed for athletes who want reliable headphones during their workouts. 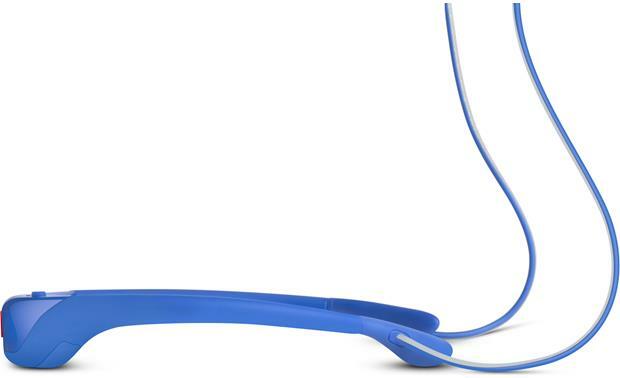 The Reflect Response has an ergonomically-designed neck band that houses the Bluetooth receiver and 10-hour rechargeable battery. Two 6" reflective cables exit the ends of the neck band, so you'll never have to worry about headphone cables getting in your way. The headphones come with 6 pairs of ear tips, a Micro USB charging cable, and a zippered storage pouch. Drivers/Ear Tips: The headphones have premium 8.6mm Dynamic Drivers with a wide frequency response (10Hz-22kHz). The package includes three pairs (large, medium, and small) of regular ear tips for normal headphone listening. 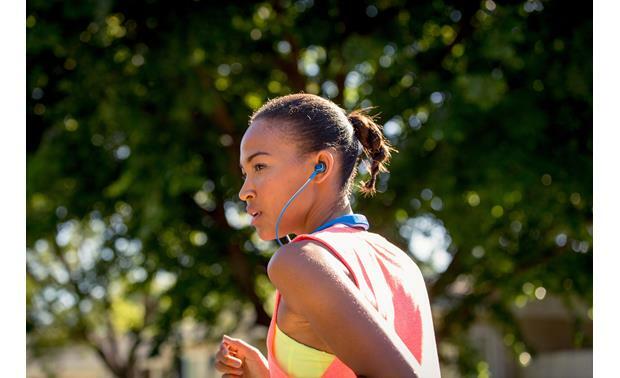 When you're ready to workout, the supplied ergonomic ear tips can be installed behind the regular ear tips. The ergonomic ear tips include a "wing" that tucks behind the folds of your outer ear to hold them in place during rigorous activity. The ergonomic ear tips also come in 3 sizes (large, medium, and small). 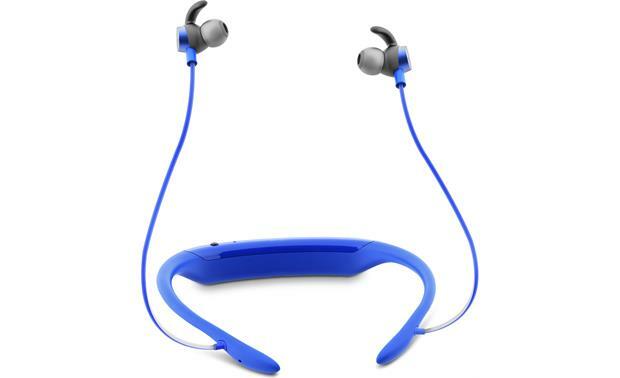 Bluetooth: Reflect Response headphones feature Bluetooth 4.1 wireless technology to give you freedom to listen to your favorite tunes during exercise. Supported profiles include: A2DP v1.3, AVRCP v1.5, HFP v1.6, and HSP v1.2. Touch Controls: Both ear buds have Touch Control technology to let you control music playback and phone calls by touching the outside of each ear bud. The Touch Controls allow you to continue your workout without having to stop to change tracks or take a phone call. Touch commands include: Play/Pause music playback, Answer/End phone calls, Track Forward, Track Backward, Voice Command, and Lock/Unlock. It does not include volume up or down. 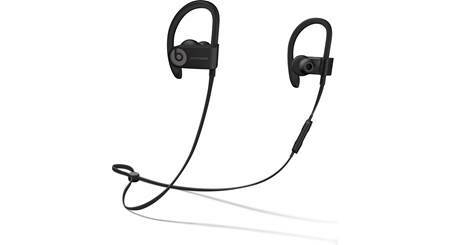 Power Requirements: The Reflect Response headphones are equipped with a rechargeable Lithium-Ion battery (3.7V 250mAh). A short Micro USB cable is included for charging. 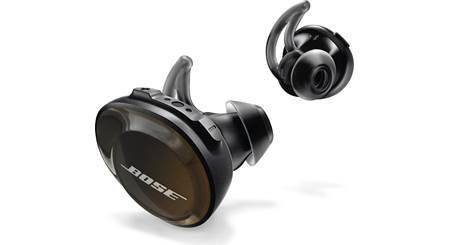 A fully charged battery gives you over 10 hours of wireless audio playback. The charging time spec was not given. 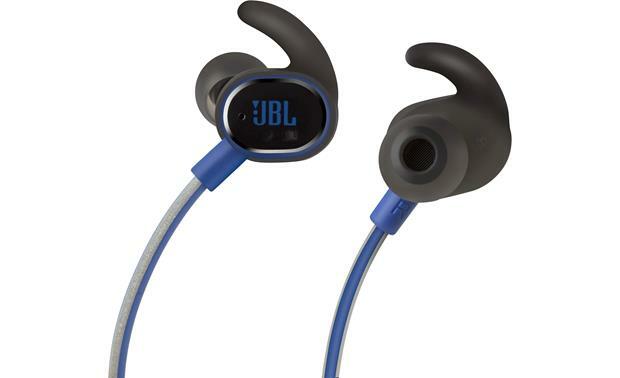 Searches related to the JBL Reflect Response In-ear wireless Bluetooth® sports headphones with touch controls.